Located right in the heart of historic Bath, just 1 mile from the main train station, 15 minutes from Bristol and 2 hours from London by train, the five-star Macdonald Bath Spa Hotel is one of Bath’s finest, luxury hotels. 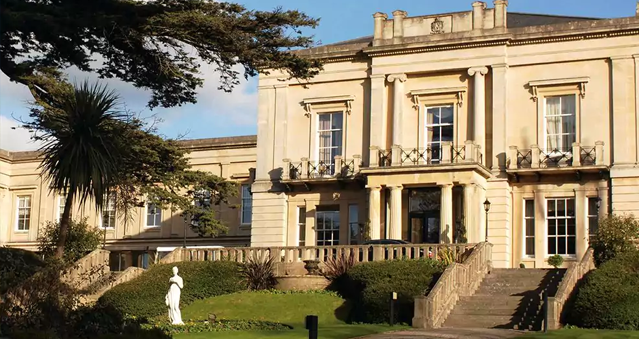 Macdonald Bath Spa Hotel offers a choice of six meeting rooms, capable of accommodating up to 130 delegates with full length windows offering natural light and panoramic views over Bath’s countryside. Ideal for: Murder Mysteries, Crime Scene Investigation Experiences, Real Life Clu D’oo, The Great Train Robbery Experience, GPS Treasure Hunts, Conferences and more!